A day after Vadgam MLA Jignesh Mevani's talk at his alma mater was cancelled by the authorities, the principal today quit his post in solidarity with Mevani and said he cannot work like a slave. 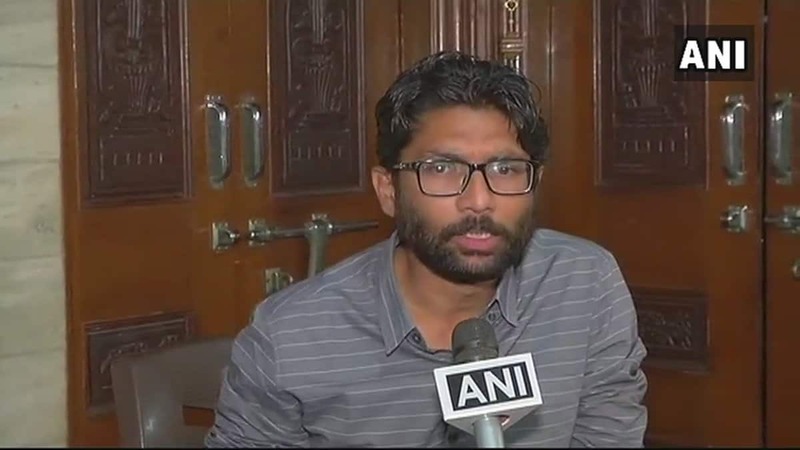 New Delhi: The principal and the vice-principal of HK Arts College in Ahemdabad tendered their resignation on Tuesday, after Vadgam MLA Jignesh Mevani was barred from attending the annual function as the chief guest. An alumnus of HK Arts College, Mevani was invited by the principal to attend the function as the chief guest and conclude it with a talk on the lives and journeys of Dr. BR Ambedkar and freedom fighter Bhagat Singh. Reportedly, after learning about Mevani’s participation, the trustee of the college withdrew permission for the use of college hall- presumably under the pressure of a political party. He further explained how even some students started to oppose Mevani’s invite for the annual day. Vice-principal Mohanbhai Parmar also stepped down in solidarity with Hemantkumar Shah, citing similar reasons. Vadgam MLA Jignesh Mevani tweeted about the incident, naming the college trustees and calling out their inability to stand up to fascist BJP forces. Hemantkuamr Shah, who was the head of Economics department at HK Arts College, had been with the institute for 15 years. On the other hand, vice- principal-in-charge Mohanbhai Parmar, who also resigned had been associated with the college for the last 10 years.